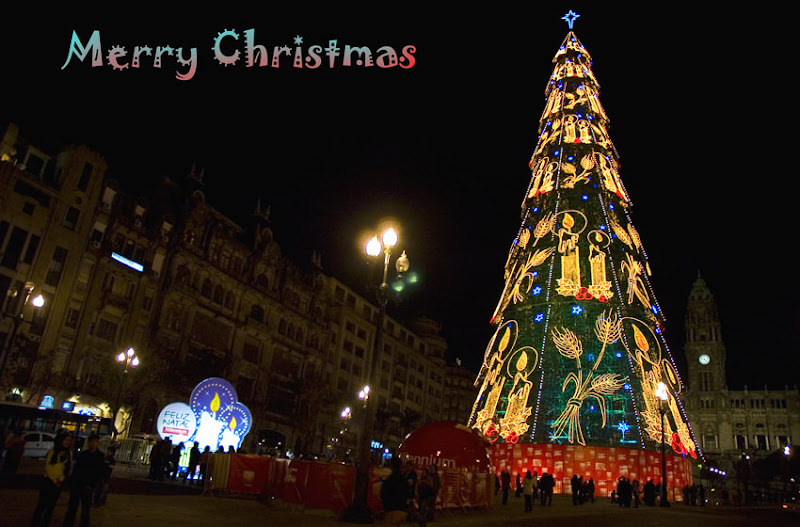 Christmas Tree in Porto, Portugal. When i took this photo in November, it was the tallest Christmas tree in Europe. The 76-metre (250ft) high tree weighs 280 tons, has a total of 2,400 microbulbs, 13,000 round bulbs, 28,000 metres of illuminated tubing, 500 metres of neon and 600 strobe lights. Currently, the tallest tree in Europe is the one in Romania. 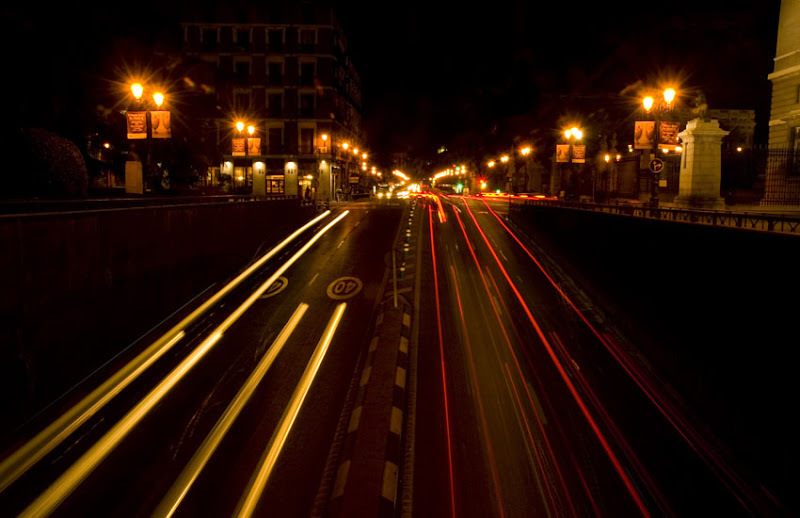 The street that runs parallel to the Royal Palace in Madrid. 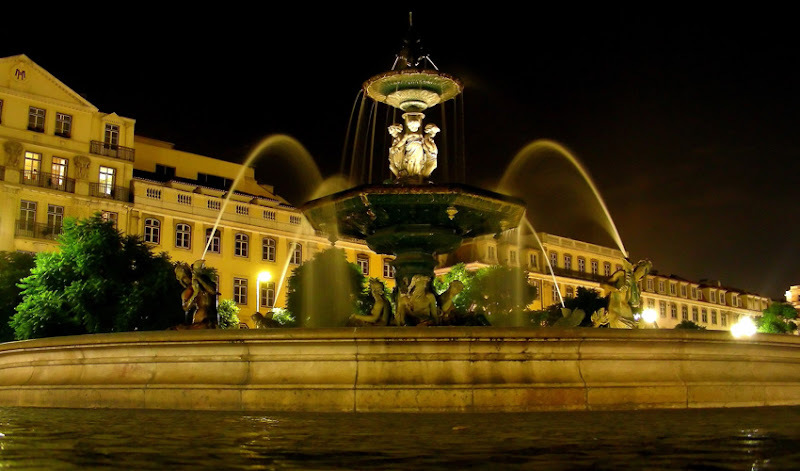 The fountain at Rossio square in downtown Lisbon.